A great story starts with a memorable beginning. That of the Abbona winery is represented by the hard, brilliant work of the first Marziano Abbona and his son Celso. Forefathers of the family and founders of the core of their business, both men were stern and traditional, but courageous and progressive. Celso Abbona was among the first of his generation to believe in the potential of Dogliani and its territory and to valorize the grape variety that its hills are able to fully express: dolcetto. Together with his family, vine after vine, Celso planted the legendary vineyard Bricco Doriolo, located in Santa Lucia di Dogliani. Today, this vineyard not only embodies the historical memory of the company, but it represents one of the most prestigious crus of Dogliani (a cru wine is a single-vineyard wine). The winery's flagship wine comes from this vineyard, named the Papà Celso in honor of this great man. Upon the death of Celso in 1964, the winery passed on to his sons, Marziano (named after his grandfather) and Enrico Abbona. These were difficult years full of hard work. The brothers transformed the family business – a traditional farm – into a winery. They began their first bottlings of Dolcetto under the name of the family and, in the footsteps of Celso, continued to invest in the territory and vines of Dogliani. In the beginning of the 1980s, Marziano and Enrico looked to the Langhe with renewed interest – and perhaps with a bit of a gamble. They saw a challenge. At a time when Barolo was still undiscovered, they purchased land in the hilly area of Monforte d'Alba and Novello, today known for their production of this "King of Wines." 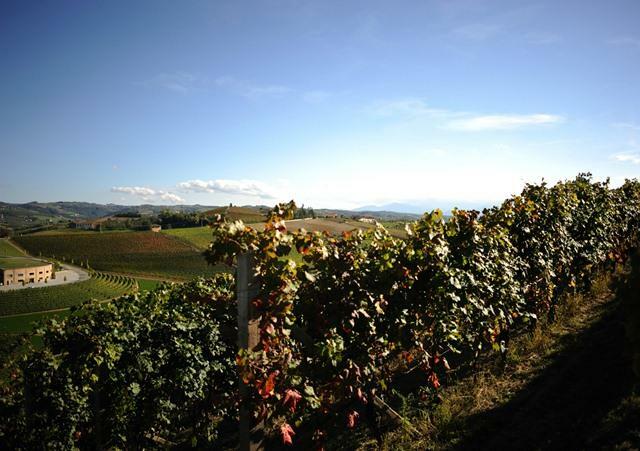 The two brothers did not limit themselves to purchasing land; one after another, they chose the best plots in the best positions for land historically considered the most prestigious: Ravera in Novello; Bricco Barone and Rinaldi in Monforte d'Alba. The notion of crus was as yet unformed, but Marziano and Enrico already understood that these great vineyards had the potential to produce the best wines. Built beginning in 2004 and inaugurated in 2006, the winery of Marziano Abbona is an ode to the hills of Dogliani. Located in the village of San Luigi in the center of a natural amphitheater of hills, at its back is a large, man-made pond, behind which the Alpine mountains are outlined along the horizon on clear days. The winery rises up on the foundations of an ancient farmhouse once called "Cascina Valle dell'Olmo" in honor of the majestic elm (olmo) tree that grew in the barnyard. Struck with disease, the elm was cut, but it lives on in the stairs that lead to the ancient cellars of the farmhouse. This winery represents a dialogue between past and present, perfectly integrating the landscape with its ancient foundations. The old, brick-vaulted ceilings arch over the tasting room, while the modern winemaking and aging rooms are completely interred. It emerging sections are covered in grass and finished Langhe stone. The modern area of the building also has a tasting room, its floor constructed in wood from old wine barrels and lit by large windows that open up to the magnificent countryside. Under the barrel room, the reconstruction works uncovered an acquifier. Preserved, it acts as a natural cooler, maintaining a constant, underground temperature. The winery is open for visits every day by appointment. Call +39 0173.721317 or write to abbona@abbona.com to reserve. James Suckling 96"A wine with beautiful depth of fruit and richness with floral and berry character. Such purity. Full body, with fabulous concentration and balance. It lasts for minutes. One of the big surprises of the vintage. Better in 2018." ~J.S. Wine Spectator 90"Rich and focused on black currant and black cherry flavors, this red is both supple and solid, with the texture and structure fitting together like a hand in a glove. Spice and orange peel accents add depth. Drink now through 2018. 200 cases imported." ~B.S. "The 2010 Barbera d'Alba Rinaldi is a rustic barbera with a deep well of flavor, this is woodsy with scents of the forest floor, mushrooms and wild red berries. There's definitely a plump, ripe and chewy quality to this wine with loads of chocolate as well followed by a tangy, seductive finish." Wine Spectator 92"Lovely elements of cigar box, leather and spice augment the macerated cherry and licorice flavors. It's more about the secondary flavors than the primary fruit, despite its youth. Juicy and balanced, with a lingering finish." ~B.S. Wine Spectator 91"This has an amazing nose of crushed blackberry and licorice. Really powerful and full-bodied, with masses of fruit, chewy tannins and intense flavors of blackberry, tar and dark chocolate. Drink now."